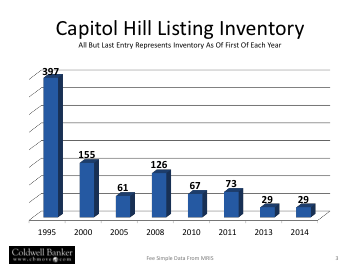 My broker’s monthly article in the March Hill Rag sheds light on exactly how low inventory is right now, in addition to wrapping up the local market results from 2013 and looking down the line at 2014’s projected changes. …”Des Marais says that buying a home is a three-part process, including looking for property and arranging financing, negotiating a contract and then getting to settlement. She says an agent can provide advice and insight during each of those phases. Bediz points out that because agents’ commissions are paid by the sellers from the profit of the sale, buyers get the guidance for free. “There’s almost never a reason to buy a house without the representation of a Realtor,” he says.